Tired of scraping and wasting gas defrosting your car every day? There is no more need for a snow brush or scraper! 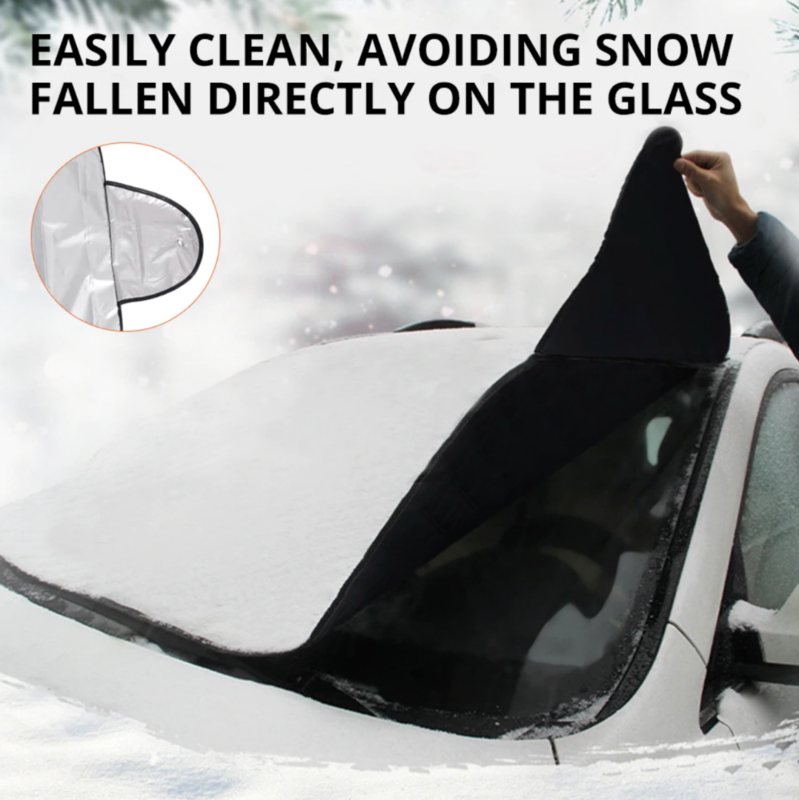 With our 4 Season Smart Windshield Cover - all you have to do is lift it, shake and you're ready to drive! Spend more time in your warm bed on freezing mornings, because with this cover, one tug and it's all gone! Our windshield cover for ice and snow will keep frost off your windshield. 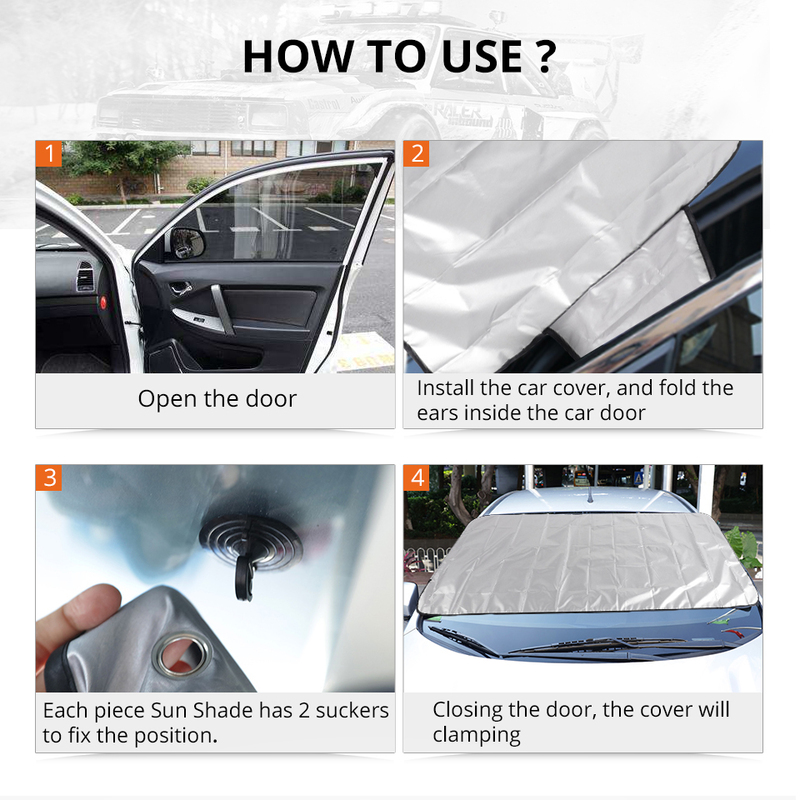 Buy it now and SAVE your time and gas that you usually waste defrosting your vehicle. Easy to Put On, Easy to Take Off! Your neighbors will be amazed at how easily you get out of your driveway in the morning. No more freezing fingers and toes! 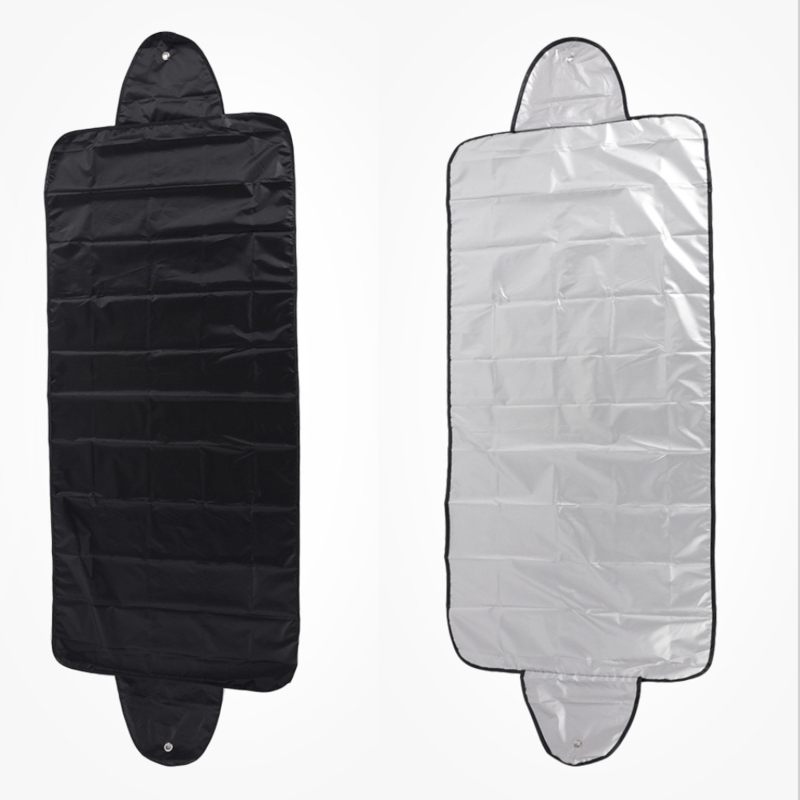 The foldable, portable cover allows you to take it anywhere you need to park! 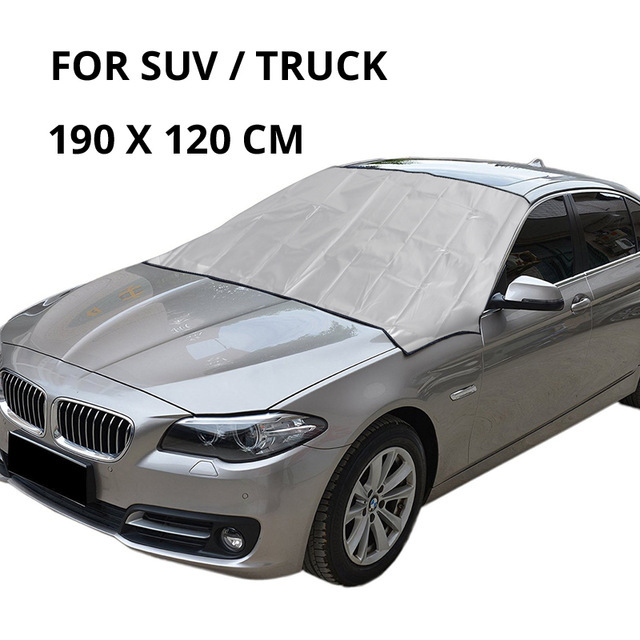 This is the Windshield Cover you never knew you needed! Stop fighting the elements - outsmart them! 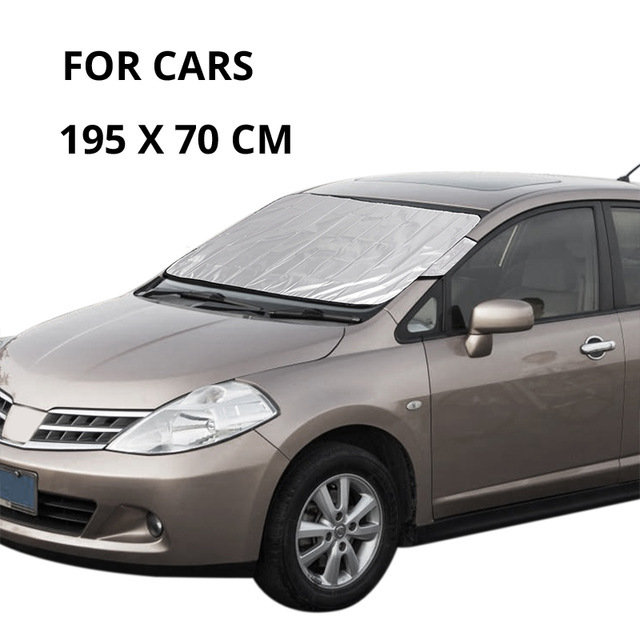 The Genius Windshield Cover is double-sided for use in any weather. REFLECT heat INTO your car during the winter! Comes with two convenient tabs to secure on your car and suction cups to keep them in place overnight! See why America loves this cover - in all 50 States - for yourself! 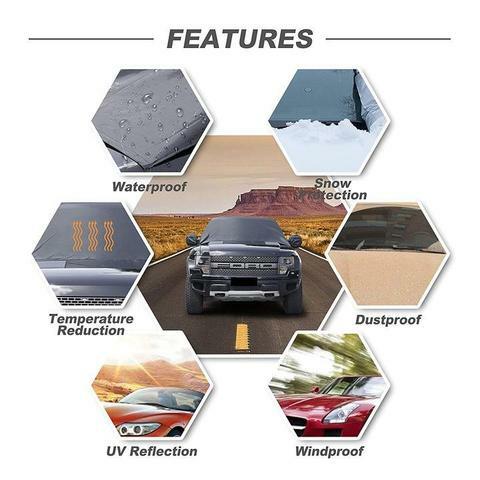 What are our customers saying about the 4 Season Windshield Cover? I am very pleased with this product. We don't have much snow here, but I have a pickup that sits out and the frost forms on the windshield every night. It has saved me a great deal of time from not having to scrape the window every morning. I looked a long time and finally ordered this product. 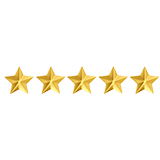 It is excellent quality and I have installed it even in a high wind with no problems. I highly recommend this product, and the price is excellent as it is half the price of other similar products. It is perfect cover on 2018 Camry. Now in the early morning I save my time. No need to clean snow from my windshield and no scratching on my windshield. This is legit! Can't wait to see my wife's face when she asks me to scrape the car this winter! Try the Windshield Covers out for 30 days and if you don't like it, you’ll get your money back!